But, that isn't the real secret. Alcohol is so important for cooking because it affects the food. It interacts with the molecules from other ingredients, influencing the overall flavor of a dish. I mean, think about vodka sauces for pasta. The vodka really does change the flavor of the sauce, even though vodka doesn't actually have a flavor of its own. So, when you combine alcohol with sweet sauces, you can really create something wonderful. 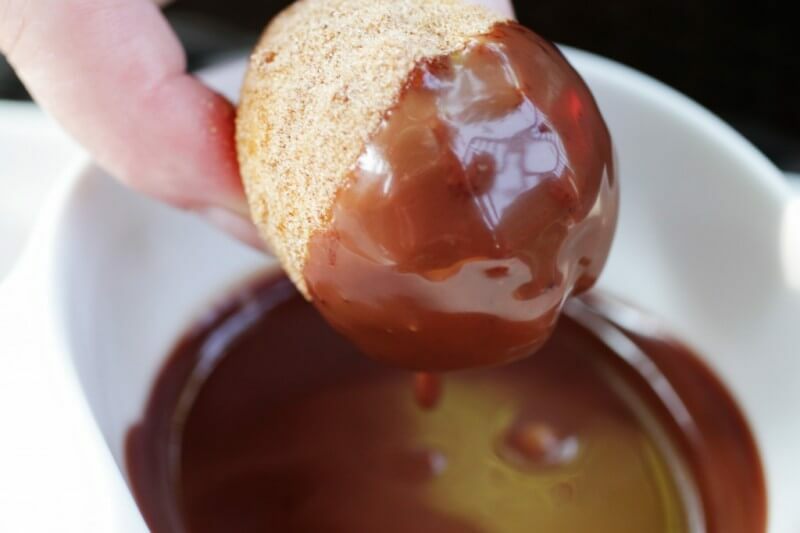 In this list, I'm going to show you some of the best boozy sweet sauces that I've found through various blogs online. You might be familiar with some of these approaches, but hopefully, there will be some surprises in here as well. 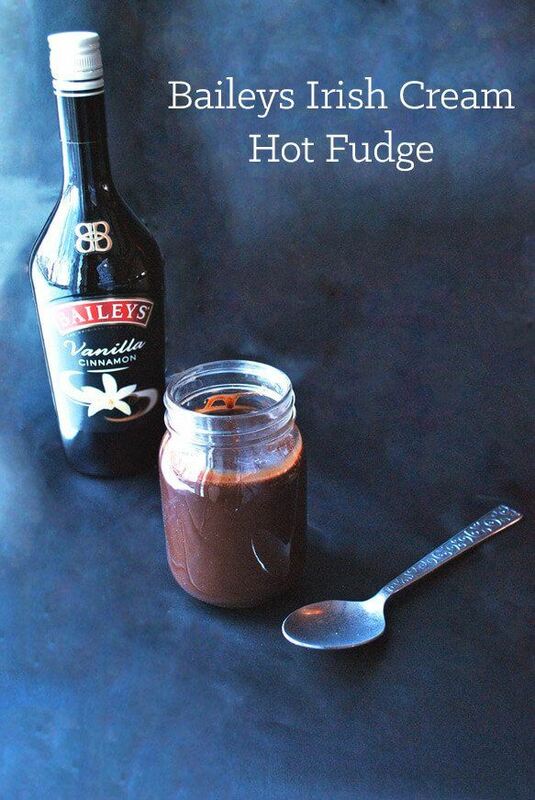 Bailey's is a pretty sweet treat in its own right, but when you make something like this Bailey's Fudge Sauce, the end result is pretty fantastic. One cool thing with this recipe is that you can just do so much with the sauce. As Brianne from cupcakesandkalechips.com notes, you can use the sauce as a topping for ice cream or another dessert, or you could simply grab a spoon and eat it. It's a pretty simple sauce to make, and I'm fairly sure it wouldn't last long in most households. 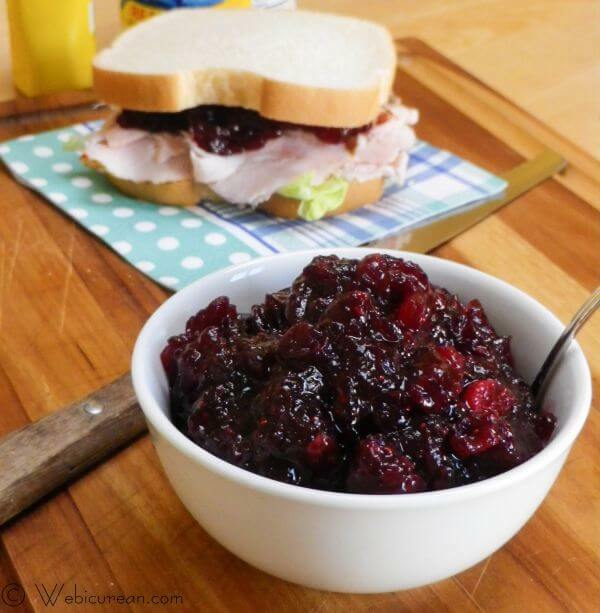 This recipe is a twist on the classic cranberry sauce for the holidays, but it's a really good twist. The recipe comes from blog.webicurean.com and uses port as the alcohol of choice. It's a clever idea because port has a richness and tartness that just works so well with cranberries. And, why not have something a little bit different? 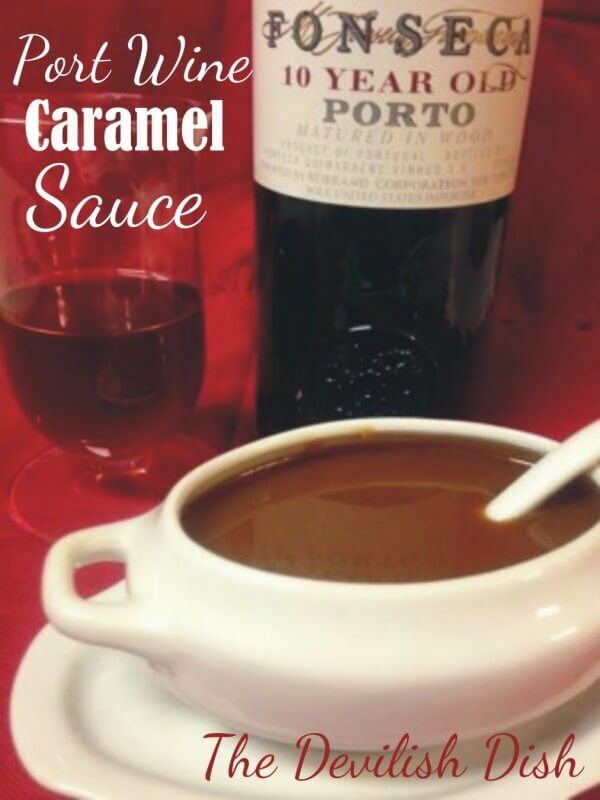 This caramel sauce is another example of the use of port. I imagine that in this case, the port would give the caramel a richer taste and it would also decrease how sweet the caramel ends up being. Both of those outcomes are good though, especially as caramel can easily end up being just that little bit too sweet. I found the recipe over at thedragonskitchen.com and it's a cool one to check out if you have the chance. This recipe from herbivoracious.com clearly gets its inspiration from fine dining, although the creator doesn't recommend serving it that way (because you don't get enough). The sauce itself is an inspired combination of flavors. I think the flavor combination would work well even for people who don't particularly like raisins. That's a good thing because a lot of people seem to have a distaste for raisins. This recipe is actually for a whole dessert, but it does include a recipe for just the sauce if you didn't want to make the rest. The recipe (well, recipes I suppose), comes from floatingkitchen.net and the entire dessert really does contain a lot of alcohol (which, by my count, is a very good thing). The mousse is actually a Bailey's chocolate mousse, coupled with a whiskey caramel sauce and whiskey cream. Sounds wonderful – although you might want to watch how much you have if you plan on driving anywhere. 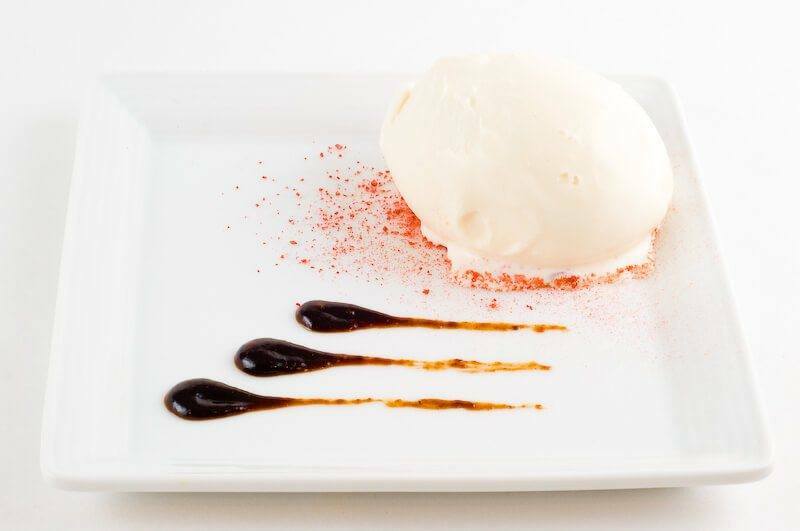 Here is another dessert that relies on a sweet alcohol-based sauce. 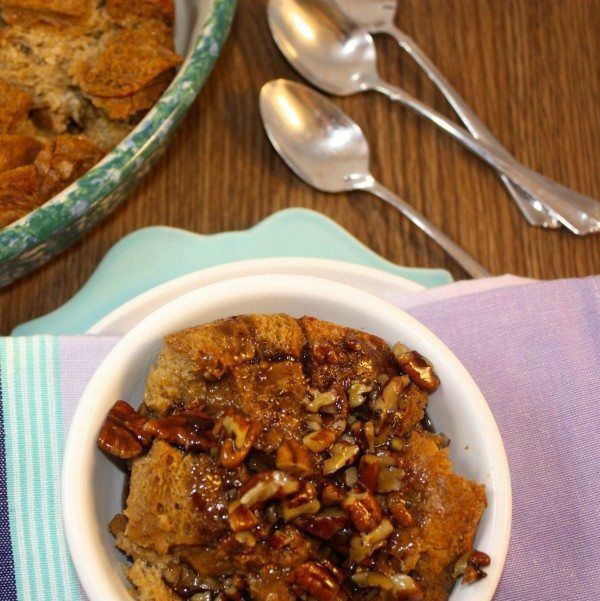 This time, it's a bread pudding that uses caramel rum sauce. 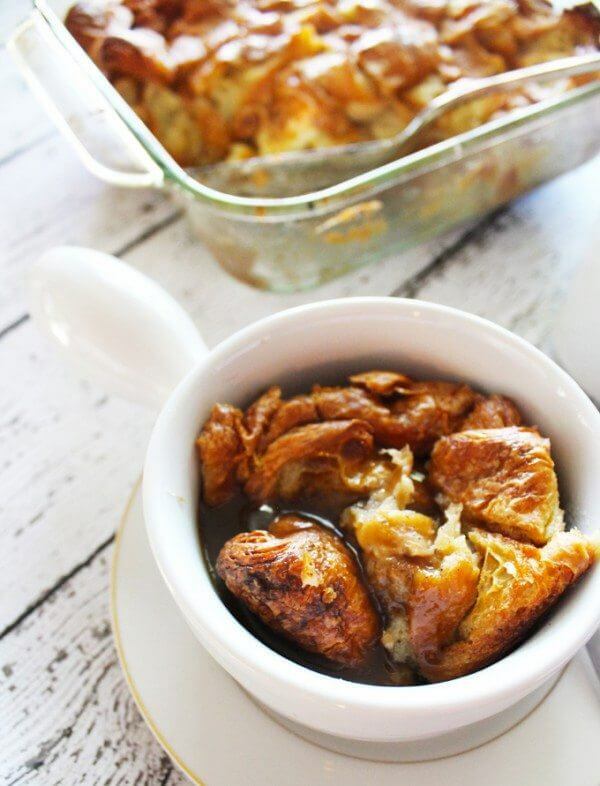 I'm not a big fan of bread puddings personally, but this one actually looks appealing to me. The recipe comes from portandfin.com, who I've featured before because they have some of the most amazing recipes I've seen. Oh – and this recipe does contain separate instructions for the sauce. So, you could just make the sauce if you don't want the bread pudding. I'm sure there are plenty of other ways to use the sauce. 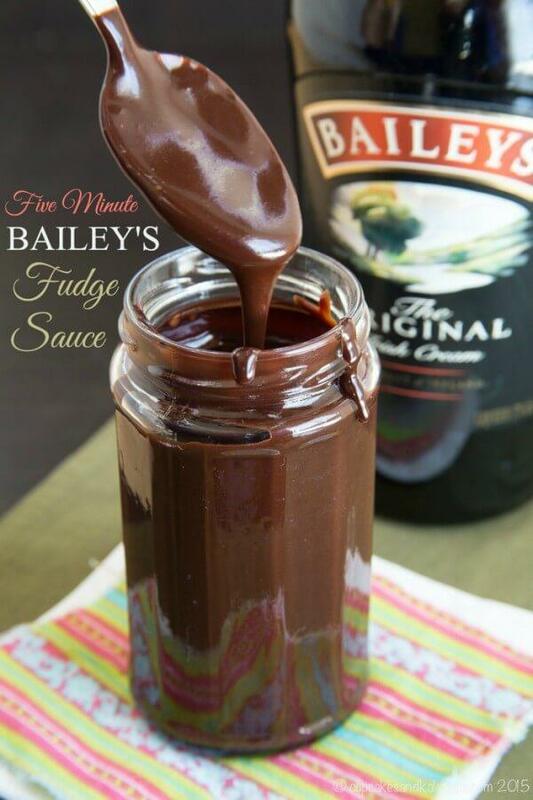 I think Bailey's just naturally goes with chocolate because this is the second sauce like it on the list. This recipe focuses on bringing in a vanilla flavor to the mix, which would work out quite well. The recipe is from cookienameddesire.com. As Amanda points out, if you simmer the sauce for just a short period of time, then it still ends up with that alcoholic kick. This recipe, from thedevilishdish.blogspot.com is another simple recipe and combines the flavor of port with the flavors of caramel. The end result sounds like it would be very appealing, and would be a great option to spoon over ice cream. Personally, I think the flavors of port and caramel would complement each other quite well, and the end result is a lot more interesting than plain old caramel. 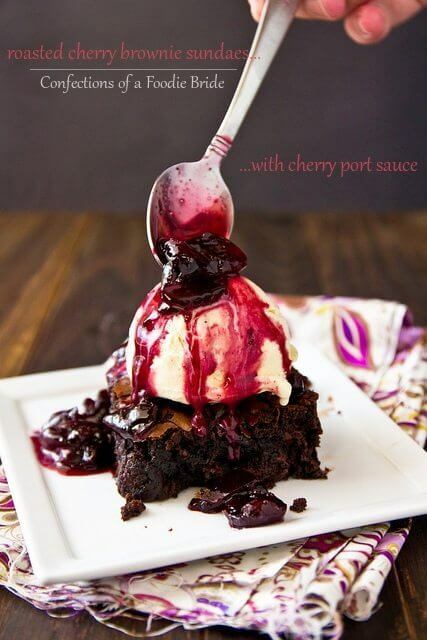 This recipe is actually for cherry brownie sundaes, but I was personally interested in the cherry sauce that was used. The recipe uses roasted cherries along with port, which would work together quite well. Add that to the flavors of the ice cream and the brownie (if you made the full dish), and you have quite a dessert on your hands. The recipe comes from thebrewerandthebaker.com if you feel like giving it a try. 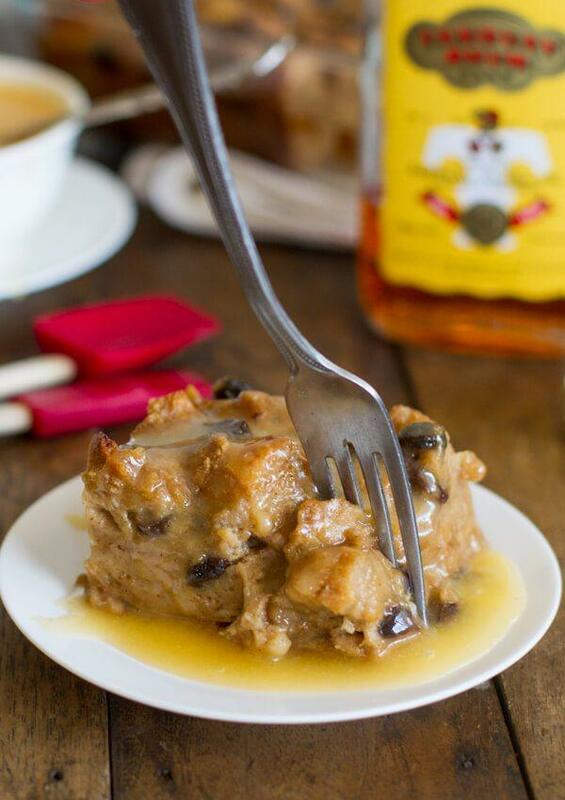 Including alcohol in the sauce for bread pudding seems to be a pretty common approach. This recipe from thefoodieaffair.com is a bit more complex than that though. 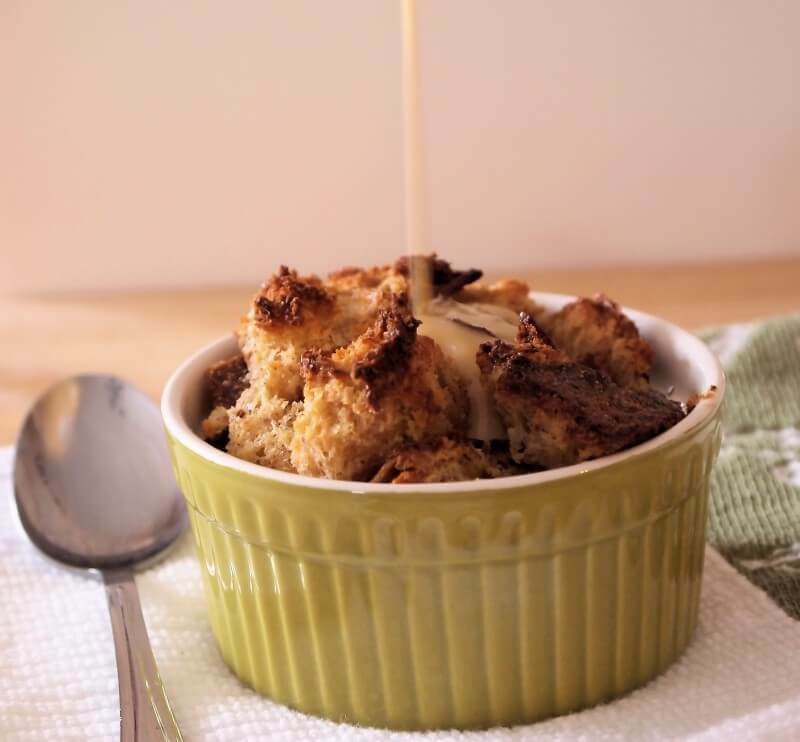 Instead, the recipe is a modification of the more traditional bread pudding. I love the recipe, particularly because Sandra has added in pecans. The recipe also separates out the instructions for the sauce and for the bread pudding, so you can just make the sauce if you want. That sauce would go fantastic on ice cream – with or without the bread pudding. To be honest, this recipe is probably my favorite from this list. 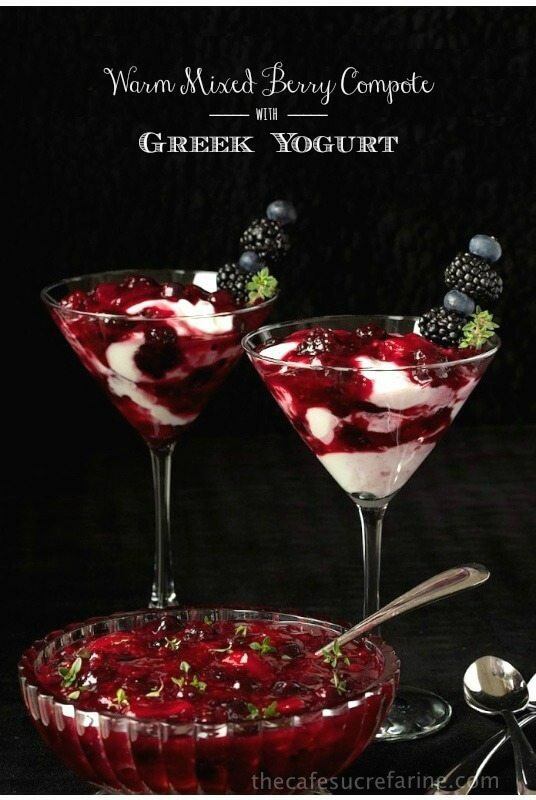 Berry compote can be an amazing sauce, particularly because it is so fresh and vibrant. The addition of liqueur to the recipe is genius and would really make the flavors come alive. You can see the recipe for yourself over at thecafesucrefarine.com, and I encourage you to give it a go. Here's another berry sauce that uses a bit of alcohol. This time, the recipe comes from thetoastedsprinkle.com and the sauce is specifically designed for breakfast crepes. 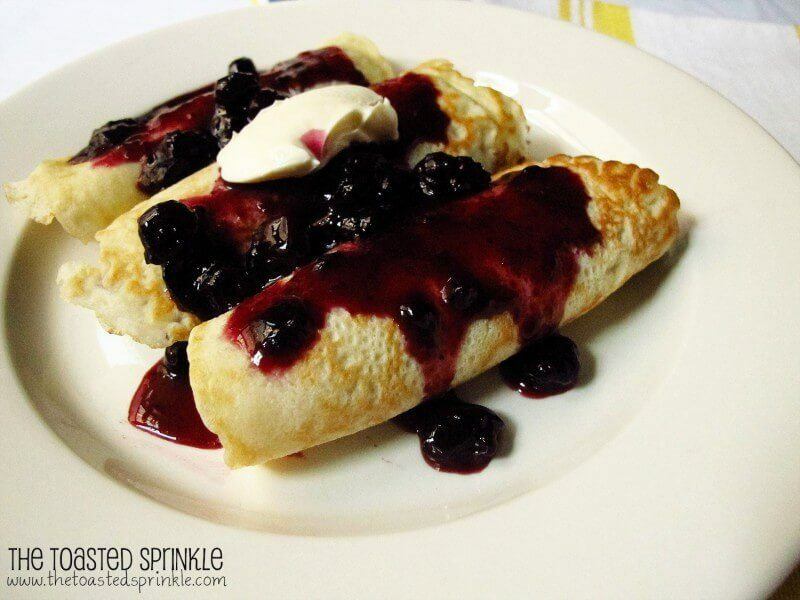 Berry sauce is very versatile, so you could make it and use it for all sorts of things. The recipe calls for brandy as the alcohol of choice, and the flavor of brandy would complement the berries nicely. As Ace points out, an alternative approach is to substitute the brandy for gin if you want a different flavor. 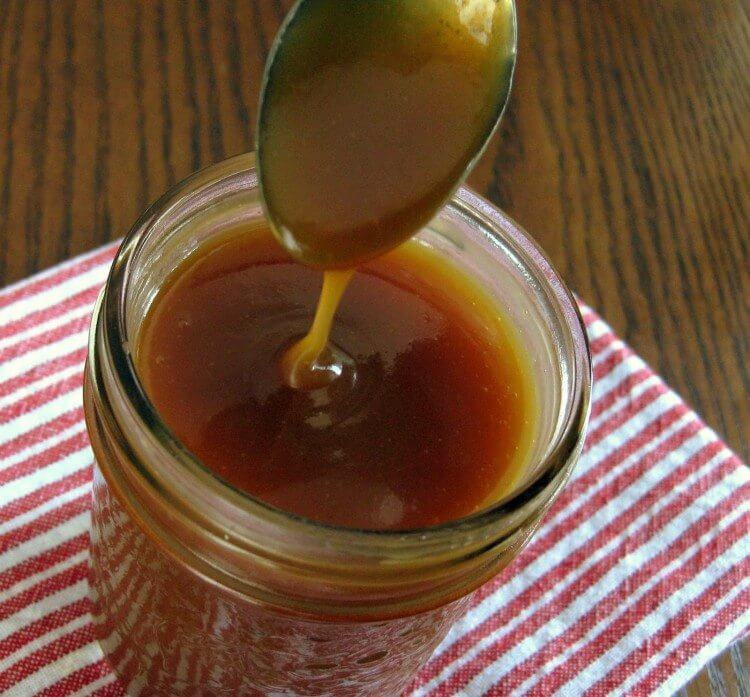 When it comes to sweet sauces, it really seems like brandy is the most common addition. There's something about the flavor profile of brandy that just makes the spirit work with so many different types of sweet sauce. This recipe, from smithbites.com, is a pretty simple sauce, but sometimes the simple things are absolutely perfect. In this case, the brandy would add a nice depth to the sauce that you wouldn't get without it. This recipe comes from pinchofyum.com and the recipe is actually for the bread pudding and also the sauce. 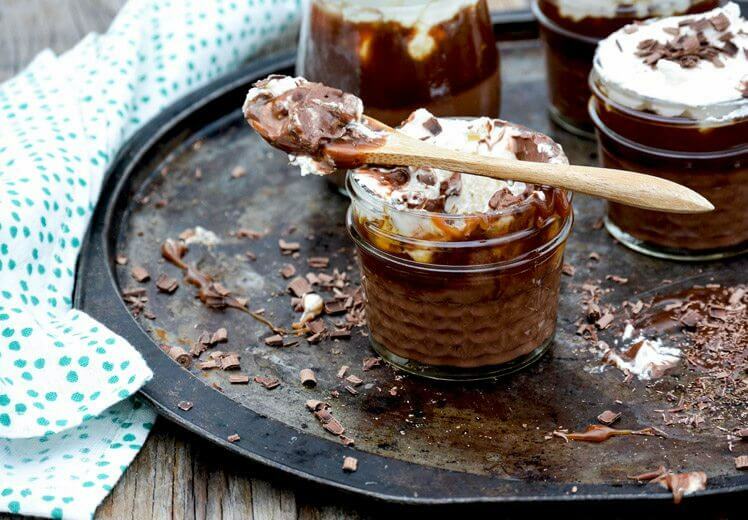 Both the pudding and the sauce use rum, so it really is a boozy dish. The directions for the sauce are entirely separate though, as the sauce is supposed to be poured over the pudding at the end. So, you could easily make the sauce on its own and combine it with whatever you like. Personally, I think it would go nicely over something chocolaty or even over ice cream – although you might have your own preferences. And yes, this is another case where the recipe is kind of savory and kind of sweet. I think whether you define the sauce as sweet or savory depends (in part) on the dish you are putting the sauce on. After all, some dishes will highlight the savory elements of a sauce while others will highlight the sweet elements. These brownies from tattooedmartha.com seem like the perfect way to round off this list. 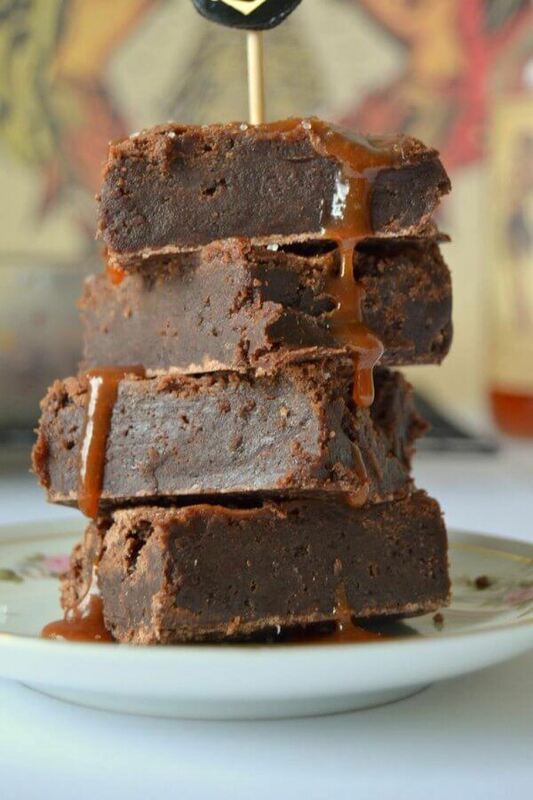 My emphasis is on the salted caramel sauce, although the brownies actually look really good as well. 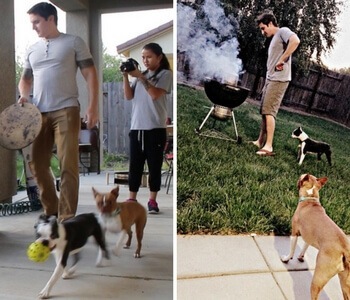 The recipe is really easy to follow, and Sasha has photographs for each step of the way so you know exactly what the steps are supposed to look like. Based on the comments section the recipe seems to be extremely popular, which is another great reason to give it a try.